This article is about the chemical element. For the nutrient commonly called sodium, see salt. For other uses, see sodium (disambiguation). "Natrium" redirects here. For other uses, see Natrium (disambiguation). Sodium is a chemical element with symbol Na (from Latin natrium) and atomic number 11. It is a soft, silvery-white, highly reactive metal. Sodium is an alkali metal, being in group 1 of the periodic table, because it has a single electron in its outer shell, which it readily donates, creating a positively charged ion—the Na+ cation. Its only stable isotope is 23Na. 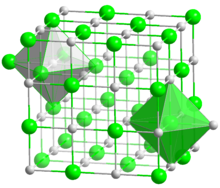 The free metal does not occur in nature, and must be prepared from compounds. Sodium is the sixth most abundant element in the Earth's crust and exists in numerous minerals such as feldspars, sodalite, and rock salt (NaCl). Many salts of sodium are highly water-soluble: sodium ions have been leached by the action of water from the Earth's minerals over eons, and thus sodium and chlorine are the most common dissolved elements by weight in the oceans. Sodium at standard temperature and pressure is a soft silvery metal that combines with oxygen in the air and forms grayish white sodium oxide unless immersed in oil or inert gas, which are the conditions it is usually stored in. Sodium metal can be easily cut with a knife and is a good conductor of electricity and heat because it has only one electron in its valence shell, resulting in weak metallic bonding and free electrons, which carry energy. Due to having low atomic mass and large atomic radius, sodium is third-least dense of all elemental metals and is one of only three metals that can float on water, the other two being lithium and potassium. The melting (98 °C) and boiling (883 °C) points of sodium are lower than those of lithium but higher than those of the heavier alkali metals potassium, rubidium, and caesium, following periodic trends down the group. These properties change dramatically at elevated pressures: at 1.5 Mbar, the color changes from silvery metallic to black; at 1.9 Mbar the material becomes transparent with a red color; and at 3 Mbar, sodium is a clear and transparent solid. All of these high-pressure allotropes are insulators and electrides. Sodium compounds are of immense commercial importance, being particularly central to industries producing glass, paper, soap, and textiles. The most important sodium compounds are table salt (NaCl), soda ash (Na2CO3), baking soda (NaHCO3), caustic soda (NaOH), sodium nitrate (NaNO3), di- and tri-sodium phosphates, sodium thiosulfate (Na2S2O3·5H2O), and borax (Na2B4O7·10H2O). In compounds, sodium is usually ionically bonded to water and anions and is viewed as a hard Lewis acid. Like the other alkali metals, sodium dissolves in ammonia and some amines to give deeply colored solutions; evaporation of these solutions leaves a shiny film of metallic sodium. The solutions contain the coordination complex (Na(NH3)6)+, with the positive charge counterbalanced by electrons as anions; cryptands permit the isolation of these complexes as crystalline solids. Sodium forms complexes with crown ethers, cryptands and other ligands. For example, 15-crown-5 has a high affinity for sodium because the cavity size of 15-crown-5 is 1.7–2.2 Å, which is enough to fit sodium ion (1.9 Å). Cryptands, like crown ethers and other ionophores, also have a high affinity for the sodium ion; derivatives of the alkalide Na− are obtainable by the addition of cryptands to solutions of sodium in ammonia via disproportionation. Many organosodium compounds have been prepared. Because of the high polarity of the C-Na bonds, they behave like sources of carbanions (salts with organic anions). Some well-known derivatives include sodium cyclopentadienide (NaC5H5) and trityl sodium ((C6H5)3CNa). Because of the large size and very low polarising power of the Na+ cation, it can stabilize large, aromatic, polarisable radical anions, such as in sodium naphthalenide, Na+[C10H8•]−, a strong reducing agent. Sodium forms alloys with many metals, such as potassium, calcium, lead, and the group 11 and 12 elements. Sodium and potassium form KNa2 and NaK. NaK is 40–90% potassium and it is liquid at ambient temperature. It is an excellent thermal and electrical conductor. Sodium-calcium alloys are by-products of the electrolytic production of sodium from a binary salt mixture of NaCl-CaCl2 and ternary mixture NaCl-CaCl2-BaCl2. Calcium is only partially miscible with sodium. In a liquid state, sodium is completely miscible with lead. There are several methods to make sodium-lead alloys. One is to melt them together and another is to deposit sodium electrolytically on molten lead cathodes. NaPb3, NaPb, Na9Pb4, Na5Pb2, and Na15Pb4 are some of the known sodium-lead alloys. Sodium also forms alloys with gold (NaAu2) and silver (NaAg2). 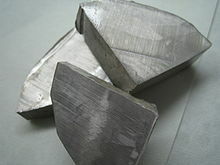 Group 12 metals (zinc, cadmium and mercury) are known to make alloys with sodium. NaZn13 and NaCd2 are alloys of zinc and cadmium. Sodium and mercury form NaHg, NaHg4, NaHg2, Na3Hg2, and Na3Hg. Because of its importance in human metabolism, salt has long been an important commodity, as shown by the English word salary, which derives from salarium, the wafers of salt sometimes given to Roman soldiers along with their other wages. In medieval Europe, a compound of sodium with the Latin name of sodanum was used as a headache remedy. The name sodium is thought to originate from the Arabic suda, meaning headache, as the headache-alleviating properties of sodium carbonate or soda were well known in early times. Although sodium, sometimes called soda, had long been recognized in compounds, the metal itself was not isolated until 1807 by Sir Humphry Davy through the electrolysis of sodium hydroxide. In 1809, the German physicist and chemist Ludwig Wilhelm Gilbert proposed the names Natronium for Humphry Davy's "sodium" and Kalium for Davy's "potassium". The chemical abbreviation for sodium was first published in 1814 by Jöns Jakob Berzelius in his system of atomic symbols, and is an abbreviation of the element's New Latin name natrium, which refers to the Egyptian natron, a natural mineral salt mainly consisting of hydrated sodium carbonate. Natron historically had several important industrial and household uses, later eclipsed by other sodium compounds. 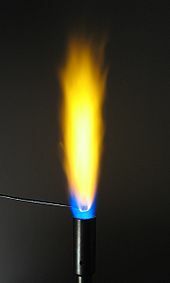 In a corner of our 60 m3 room farthest away from the apparatus, we exploded 3 mg of sodium chlorate with milk sugar while observing the nonluminous flame before the slit. After a while, it glowed a bright yellow and showed a strong sodium line that disappeared only after 10 minutes. From the weight of the sodium salt and the volume of air in the room, we easily calculate that one part by weight of air could not contain more than 1/20 millionth weight of sodium. The Earth's crust contains 2.27% sodium, making it the seventh most abundant element on Earth and the fifth most abundant metal, behind aluminium, iron, calcium, and magnesium and ahead of potassium. Sodium's estimated oceanic abundance is 1.08×104 milligrams per liter. Because of its high reactivity, it is never found as a pure element. It is found in many different minerals, some very soluble, such as halite and natron, others much less soluble, such as amphibole and zeolite. The insolubility of certain sodium minerals such as cryolite and feldspar arises from their polymeric anions, which in the case of feldspar is a polysilicate. Atomic sodium has a very strong spectral line in the yellow-orange part of the spectrum (the same line as is used in sodium vapour street lights). This appears as an absorption line in many types of stars, including the Sun. The line was first studied in 1814 by Joseph von Fraunhofer during his investigation of the lines in the solar spectrum, now known as the Fraunhofer lines. Fraunhofer named it the 'D line', although it is now known to actually be a group of closely spaced lines split by a fine and hyperfine structure. The strength of the D line means it has been detected in many other astronomical environments. In stars, it is seen in any whose surfaces are cool enough for sodium to exist in atomic form (rather than ionised). This corresponds to stars of roughly F-type and cooler. Many other stars appear to have a sodium absorption line, but this is actually caused by gas in the foreground interstellar medium. The two can be distinguished via high-resolution spectroscopy, because interstellar lines are much narrower than those broadened by stellar rotation. Sodium has also been detected in numerous Solar System environments, including Mercury's atmosphere, the exosphere of the Moon, and numerous other bodies. Some comets have a sodium tail, which was first detected in observations of Comet Hale-Bopp in 1997. Sodium has even been detected in the atmospheres of some extrasolar planets via transit spectroscopy. The high demand for aluminium created the need for the production of sodium. The introduction of the Hall–Héroult process for the production of aluminium by electrolysing a molten salt bath ended the need for large quantities of sodium. A related process based on the reduction of sodium hydroxide was developed in 1886. Though metallic sodium has some important uses, the major applications for sodium use compounds; millions of tons of sodium chloride, hydroxide, and carbonate are produced annually. Sodium chloride is extensively used for anti-icing and de-icing and as a preservative; examples of the uses of sodium bicarbonate include baking, as a raising agent, and sodablasting. Along with potassium, many important medicines have sodium added to improve their bioavailability; though potassium is the better ion in most cases, sodium is chosen for its lower price and atomic weight. Sodium hydride is used as a base for various reactions (such as the aldol reaction) in organic chemistry, and as a reducing agent in inorganic chemistry. Metallic sodium is used mainly for the production of sodium borohydride, sodium azide, indigo, and triphenylphosphine. A once-common use was the making of tetraethyllead and titanium metal; because of the move away from TEL and new titanium production methods, the production of sodium declined after 1970. Sodium is also used as an alloying metal, an anti-scaling agent, and as a reducing agent for metals when other materials are ineffective. Note the free element is not used as a scaling agent, ions in the water are exchanged for sodium ions. Sodium plasma ("vapor") lamps are often used for street lighting in cities, shedding light that ranges from yellow-orange to peach as the pressure increases. By itself or with potassium, sodium is a desiccant; it gives an intense blue coloration with benzophenone when the desiccate is dry. In organic synthesis, sodium is used in various reactions such as the Birch reduction, and the sodium fusion test is conducted to qualitatively analyse compounds. Sodium reacts with alcohol and gives alkoxides, and when sodium is dissolved in ammonia solution, it can be used to reduce alkynes to trans-alkenes. Lasers emitting light at the sodium D line are used to create artificial laser guide stars that assist in the adaptive optics for land-based visible-light telescopes. Liquid sodium is used as a heat transfer fluid in some types of nuclear reactors because it has the high thermal conductivity and low neutron absorption cross section required to achieve a high neutron flux in the reactor. The high boiling point of sodium allows the reactor to operate at ambient (normal) pressure, but the drawbacks include its opacity, which hinders visual maintenance, and its explosive properties. Radioactive sodium-24 may be produced by neutron bombardment during operation, posing a slight radiation hazard; the radioactivity stops within a few days after removal from the reactor. If a reactor needs to be shut down frequently, NaK is used; because NaK is a liquid at room temperature, the coolant does not solidify in the pipes. In this case, the pyrophoricity of potassium requires extra precautions to prevent and detect leaks. Another heat transfer application is poppet valves in high-performance internal combustion engines; the valve stems are partially filled with sodium and work as a heat pipe to cool the valves. Hypertension causes 7.6 million premature deaths worldwide each year. (Note that salt contains about 39.3% sodium—the rest being chlorine and trace chemicals; thus, 2.3 g sodium is about 5.9 g, or 2.7 ml of salt—about one US teaspoon.) The American Heart Association recommends no more than 1.5 g of sodium per day. The renin–angiotensin system regulates the amount of fluid and sodium concentration in the body. Reduction of blood pressure and sodium concentration in the kidney result in the production of renin, which in turn produces aldosterone and angiotensin, retaining sodium in the urine. When the concentration of sodium increases, the production of renin decreases, and the sodium concentration returns to normal. The sodium ion (Na+) is an important electrolyte in neuron function, and in osmoregulation between cells and the extracellular fluid. This is accomplished in all animals by Na+/K+-ATPase, an active transporter pumping ions against the gradient, and sodium/potassium channels. Sodium is the most prevalent metallic ion in extracellular fluid. Sodium forms flammable hydrogen and caustic sodium hydroxide on contact with water; ingestion and contact with moisture on skin, eyes or mucous membranes can cause severe burns. Sodium spontaneously explodes in the presence of water due to the formation of hydrogen (highly explosive) and sodium hydroxide (which dissolves in the water, liberating more surface). However, sodium exposed to air and ignited or reaching autoignition (reported to occur when a molten pool of sodium reaches about 290 °C) displays a relatively mild fire. In the case of massive (non-molten) pieces of sodium, the reaction with oxygen eventually becomes slow due to formation of a protective layer. Fire extinguishers based on water accelerate sodium fires; those based on carbon dioxide and bromochlorodifluoromethane should not be used on sodium fire. Metal fires are Class D, but not all Class D extinguishers are workable with sodium. An effective extinguishing agent for sodium fires is Met-L-X. Other effective agents include Lith-X, which has graphite powder and an organophosphate flame retardant, and dry sand. Sodium fires are prevented in nuclear reactors by isolating sodium from oxygen by surrounding sodium pipes with inert gas. Pool-type sodium fires are prevented using different design measures called catch pan systems. They collect leaking sodium into a leak-recovery tank where it is isolated from oxygen. ^ ""Alkali Metals." Science of Everyday Things". Encyclopedia.com. Retrieved 15 October 2016. ^ Gatti, M.; Tokatly, I.; Rubio, A. (2010). "Sodium: A Charge-Transfer Insulator at High Pressures". Physical Review Letters. 104 (21): 216404. arXiv:1003.0540. Bibcode:2010PhRvL.104u6404G. doi:10.1103/PhysRevLett.104.216404. PMID 20867123. ^ Schumann, Walter (5 August 2008). Minerals of the World (2nd ed.). Sterling. p. 28. ISBN 978-1-4027-5339-8. OCLC 637302667. ^ Citron, M. L.; Gabel, C.; Stroud, C.; Stroud, C. (1977). "Experimental Study of Power Broadening in a Two-Level Atom". Physical Review A. 16 (4): 1507–1512. Bibcode:1977PhRvA..16.1507C. doi:10.1103/PhysRevA.16.1507. ^ Denisenkov, P. A.; Ivanov, V. V. (1987). "Sodium Synthesis in Hydrogen Burning Stars". Soviet Astronomy Letters. 13: 214. Bibcode:1987SvAL...13..214D. ^ Sanders, F. W.; Auxier, J. A. (1962). "Neutron Activation of Sodium in Anthropomorphous Phantoms". Health Physics. 8 (4): 371–379. doi:10.1097/00004032-196208000-00005. PMID 14496815. ^ Lawrie Ryan; Roger Norris (2014-07-31). Cambridge International AS and A Level Chemistry Coursebook (illustrated ed.). Cambridge University Press, 2014. p. 36. ISBN 978-1-107-63845-7. ^ De Leon, N. "Reactivity of Alkali Metals". Indiana University Northwest. Retrieved 2007-12-07. ^ Atkins, Peter W.; de Paula, Julio (2002). Physical Chemistry (7th ed.). W. H. Freeman. ISBN 978-0-7167-3539-7. OCLC 3345182. ^ Davies, Julian A. (1996). Synthetic Coordination Chemistry: Principles and Practice. World Scientific. p. 293. ISBN 978-981-02-2084-6. OCLC 717012347. ^ a b Holleman, Arnold F.; Wiberg, Egon; Wiberg, Nils (1985). Lehrbuch der Anorganischen Chemie (in German) (91–100 ed.). Walter de Gruyter. pp. 931–943. ISBN 978-3-11-007511-3. ^ Cowan, James A. (1997). Inorganic Biochemistry: An Introduction. Wiley-VCH. p. 7. ISBN 978-0-471-18895-7. OCLC 34515430. ^ Lincoln, S. F.; Richens, D. T.; Sykes, A. G. (2004). "Metal Aqua Ions". Comprehensive Coordination Chemistry II. p. 515. doi:10.1016/B0-08-043748-6/01055-0. ISBN 978-0-08-043748-4. ^ Dean, John Aurie; Lange, Norbert Adolph (1998). Lange's Handbook of Chemistry. McGraw-Hill. ISBN 978-0-07-016384-3. ^ Starks, Charles M.; Liotta, Charles L.; Halpern, Marc (1994). Phase-Transfer Catalysis: Fundamentals, Applications, and Industrial Perspectives. Chapman & Hall. p. 162. ISBN 978-0-412-04071-9. OCLC 28027599. ^ Barber, H. H.; Kolthoff, I. M. (1929). "Gravimetric Determination of Sodium by the Uranyl Zinc Acetate Method. Ii. Application in the Presence of Rubidium, Cesium, Potassium, Lithium, Phosphate or Arsenate". J. Am. Chem. Soc. 51 (11): 3233–3237. doi:10.1021/ja01386a008. ^ Kingsley, G. R.; Schaffert, R. R. (1954). "Micro-flame Photometric Determination of Sodium, Potassium and Calcium in Serum with Solvents". J. Biol. Chem. 206 (2): 807–15. PMID 13143043. ^ Levy, G. B. (1981). "Determination of Sodium with Ion-Selective Electrodes". Clinical Chemistry. 27 (8): 1435–1438. PMID 7273405. ^ Ivor L. Simmons (ed.). Applications of the Newer Techniques of Analysis. Springer Science & Business Media, 2012. p. 160. ISBN 978-1-4684-3318-0. ^ Xu Hou, ed. (2016-06-22). Design, Fabrication, Properties and Applications of Smart and Advanced Materials (illustrated ed.). CRC Press, 2016. p. 175. ISBN 978-1-4987-2249-0. ^ Nikos Hadjichristidis; Akira Hirao, eds. (2015-09-01). Anionic Polymerization: Principles, Practice, Strength, Consequences and Applications (illustrated ed.). Springer, 2015. p. 349. ISBN 978-4-431-54186-8. ^ Dye, J. L.; Ceraso, J. M.; Mei Lok Tak; Barnett, B. L.; Tehan, F. J. (1974). "Crystalline Salt of the Sodium Anion (Na−)". J. Am. Chem. Soc. 96 (2): 608–609. doi:10.1021/ja00809a060. ^ Holleman, A. F.; Wiberg, E.; Wiberg, N. (2001). Inorganic Chemistry. Academic Press. ISBN 978-0-12-352651-9. OCLC 48056955. ^ Habashi, Fathi (2008-11-21). Alloys: Preparation, Properties, Applications. John Wiley & Sons, 2008. pp. 278–280. ISBN 978-3-527-61192-8. ^ a b Newton, David E. (1999). Baker, Lawrence W., ed. Chemical Elements. ISBN 978-0-7876-2847-5. OCLC 39778687. ^ Davy, Humphry (1808). "On some new phenomena of chemical changes produced by electricity, particularly the decomposition of the fixed alkalies, and the exhibition of the new substances which constitute their bases; and on the general nature of alkaline bodies". Philosophical Transactions of the Royal Society of London. 98: 1–44. doi:10.1098/rstl.1808.0001. ^ Weeks, Mary Elvira (1932). "The discovery of the elements. IX. Three alkali metals: Potassium, sodium, and lithium". Journal of Chemical Education. 9 (6): 1035. Bibcode:1932JChEd...9.1035W. doi:10.1021/ed009p1035. ^ van der Krogt, Peter. "Elementymology & Elements Multidict". Retrieved 2007-06-08. ^ Kirchhoff, G.; Bunsen, R. (1860). "Chemische Analyse durch Spectralbeobachtungen". Annalen der Physik und Chemie. 186 (6): 161–189. Bibcode:1860AnP...186..161K. doi:10.1002/andp.18601860602. ^ Lide, David R. (2003-06-19). CRC Handbook of Chemistry and Physics, 84th Edition. CRC Handbook. CRC Press. 14: Abundance of Elements in the Earth's Crust and in the Sea. ISBN 978-0-8493-0484-2. ^ "D-lines | spectroscopy". Encyclopedia Britannica. Retrieved 6 November 2017. ^ Welty, Daniel E; Hobbs, L. M; Kulkarni, Varsha P (1994). "A high-resolution survey of interstellar NA I D1 lines". The Astrophysical Journal. 436: 152. Bibcode:1994ApJ...436..152W. doi:10.1086/174889. ^ Colaprete, A; Sarantos, M; Wooden, D. H; Stubbs, T. J; Cook, A. M; Shirley, M (2015). "How surface composition and meteoroid impacts mediate sodium and potassium in the lunar exosphere". Science. 351 (6270): 249–52. Bibcode:2016Sci...351..249C. doi:10.1126/science.aad2380. PMID 26678876. ^ "Cometary Neutral Tail | COSMOS". astronomy.swin.edu.au. Retrieved 6 November 2017. ^ Cremonese, G; Boehnhardt, H; Crovisier, J; Rauer, H; Fitzsimmons, A; Fulle, M; Licandro, J; Pollacco, D; et al. (1997). "Neutral Sodium from Comet Hale–Bopp: A Third Type of Tail". The Astrophysical Journal Letters. 490 (2): L199–L202. arXiv:astro-ph/9710022. Bibcode:1997ApJ...490L.199C. doi:10.1086/311040. ^ Redfield, Seth; Endl, Michael; Cochran, William D; Koesterke, Lars (2008). "Sodium Absorption from the Exoplanetary Atmosphere of HD 189733b Detected in the Optical Transmission Spectrum". The Astrophysical Journal. 673 (1): L87–L90. arXiv:0712.0761. Bibcode:2008ApJ...673L..87R. doi:10.1086/527475. ^ B. Pearson, ed. (1991-12-31). Speciality Chemicals: Innovations in industrial synthesis and applications (illustrated ed.). Springer Science & Business Media, 1991. p. 260. ISBN 978-1-85166-646-1. ^ a b Eggeman, Tim; Updated By Staff (2007). "Sodium and Sodium Alloys". 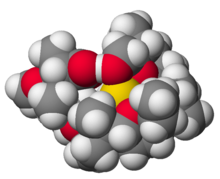 Kirk-Othmer Encyclopedia of Chemical Technology. John Wiley & Sons. doi:10.1002/0471238961.1915040912051311.a01.pub3. ISBN 978-0-471-23896-6. ^ Oesper, R. E.; Lemay, P. (1950). "Henri Sainte-Claire Deville, 1818–1881". Chymia. 3: 205–221. doi:10.2307/27757153. JSTOR 27757153. ^ Banks, Alton (1990). "Sodium". Journal of Chemical Education. 67 (12): 1046. Bibcode:1990JChEd..67.1046B. doi:10.1021/ed067p1046. ^ Sodium Metal from France. DIANE Publishing. ISBN 978-1-4578-1780-9. ^ Mark Anthony Benvenuto (2015-02-24). Industrial Chemistry: For Advanced Students (illustrated ed.). Walter de Gruyter GmbH & Co KG, 2015. ISBN 978-3-11-038339-3. ^ Stanley Nusim, ed. (2016-04-19). Active Pharmaceutical Ingredients: Development, Manufacturing, and Regulation, Second Edition (2, illustrated, revised ed.). CRC Press, 2016. p. 303. ISBN 978-1-4398-0339-4. ^ Remington, Joseph P. (2006). Beringer, Paul, ed. Remington: The Science and Practice of Pharmacy (21st ed.). Lippincott Williams & Wilkins. pp. 365–366. ISBN 978-0-7817-4673-1. OCLC 60679584. ^ Wiberg, Egon; Wiberg, Nils; Holleman, A. F. (2001). Inorganic Chemistry. Academic Press. pp. 1103–1104. ISBN 978-0-12-352651-9. OCLC 48056955. ^ Harris, Jay C. (1949). Metal cleaning: bibliographical abstracts, 1842–1951. American Society for Testing and Materials. p. 76. OCLC 1848092. ^ Lindsey, Jack L. (1997). Applied illumination engineering. Fairmont Press. pp. 112–114. ISBN 978-0-88173-212-2. OCLC 22184876. ^ Lerner, Leonid (2011-02-16). Small-Scale Synthesis of Laboratory Reagents with Reaction Modeling. CRC Press. pp. 91–92. ISBN 978-1-4398-1312-6. OCLC 669160695. ^ Sethi, Arun (1 January 2006). Systematic Laboratory Experiments in Organic Chemistry. New Age International. pp. 32–35. ISBN 978-81-224-1491-2. OCLC 86068991. ^ Smith, Michael (2011-07-12). Organic Synthesis (3 ed.). Academic Press, 2011. p. 455. ISBN 978-0-12-415884-9. ^ Solomons; Fryhle (2006). Organic Chemistry (8 ed.). John Wiley & Sons, 2006. p. 272. ISBN 978-81-265-1050-4. ^ "Laser Development for Sodium Laser Guide Stars at ESO" (PDF). Domenico Bonaccini Calia, Yan Feng, Wolfgang Hackenberg, Ronald Holzlöhner, Luke Taylor, Steffan Lewis. ^ van Rossen, G. L. C. M.; van Bleiswijk, H. (1912). "Über das Zustandsdiagramm der Kalium-Natriumlegierungen". Zeitschrift für Anorganische Chemie. 74: 152–156. doi:10.1002/zaac.19120740115. ^ a b "Sodium-cooled Fast Reactor (SFR)" (PDF). Office of Nuclear Energy, U.S. Department of Energy. 18 February 2015. ^ Fire and Explosion Hazards. Research Publishing Service, 2011. 2011. p. 363. ISBN 978-981-08-7724-8. ^ Pavel Solomonovich Knopov; Panos M. Pardalos, eds. (2009). Simulation and Optimization Methods in Risk and Reliability Theory. Nova Science Publishers, 2009. p. 150. ISBN 978-1-60456-658-1. ^ McKillop, Allan A. (1976). Proceedings of the Heat Transfer and Fluid Mechanics Institute. Stanford University Press, 1976. p. 97. ISBN 978-0-8047-0917-0. ^ U.S. Atomic Energy Commission. Reactor Handbook: Engineering (2 ed.). Interscience Publishers. p. 325. ^ "Sodium" (PDF). Northwestern University. Archived from the original (PDF) on 2011-08-23. Retrieved 2011-11-21. ^ "Sodium and Potassium Quick Health Facts". health.ltgovernors.com. ^ "Sodium in diet". MedlinePlus, US National Library of Medicine. 5 October 2016. ^ "Reference Values for Elements". Dietary Reference Intakes Tables. Health Canada. ^ U.S. Department of Agriculture; U.S. Department of Health and Human Services (December 2010). Dietary Guidelines for Americans, 2010 (PDF) (7th ed.). p. 22. ISBN 978-0-16-087941-8. OCLC 738512922. Archived from the original (PDF) on 6 February 2011. Retrieved 2011-11-23. ^ a b Geleijnse, J. M.; Kok, F. J.; Grobbee, D. E. (2004). "Impact of dietary and lifestyle factors on the prevalence of hypertension in Western populations" (PDF). European Journal of Public Health. 14 (3): 235–239. doi:10.1093/eurpub/14.3.235. PMID 15369026. ^ Lawes, C. M.; Vander Hoorn, S.; Rodgers, A.; International Society of Hypertension (2008). "Global burden of blood-pressure-related disease, 2001" (PDF). Lancet. 371 (9623): 1513–1518. CiteSeerX 10.1.1.463.887. doi:10.1016/S0140-6736(08)60655-8. PMID 18456100. Archived from the original (PDF) on 26 October 2015. Retrieved 25 October 2017. ^ Armstrong, James (2011). General, Organic, and Biochemistry: An Applied Approach. Cengage Learning. pp. 48–. ISBN 978-1-133-16826-3. ^ Table Salt Conversion. Traditionaloven.com. Retrieved on 2015-11-11. ^ a b "Use the Nutrition Facts Label to Reduce Your Intake of Sodium in Your Diet". US Food and Drug Administration. 3 January 2018. Retrieved 2 February 2018. ^ "How much sodium should I eat per day?". American Heart Association. 2016. Retrieved 15 October 2016. ^ Andrew Mente; et al. (2016). "Associations of urinary sodium excretion with cardiovascular events in individuals with and without hypertension: a pooled analysis of data from four studies". The Lancet. 388 (10043): 465–75. doi:10.1016/S0140-6736(16)30467-6. PMID 27216139. ^ McGuire, Michelle; Beerman, Kathy A. (2011). Nutritional Sciences: From Fundamentals to Food. Cengage Learning. p. 546. ISBN 978-0-324-59864-3. OCLC 472704484. ^ Campbell, Neil (1987). Biology. Benjamin/Cummings. p. 795. ISBN 978-0-8053-1840-1. ^ Srilakshmi, B. (2006). Nutrition Science (2nd ed.). New Age International. p. 318. ISBN 978-81-224-1633-6. OCLC 173807260. ^ Pohl, Hanna R.; Wheeler, John S.; Murray, H. Edward (2013). "Sodium and Potassium in Health and Disease". In Astrid Sigel; Helmut Sigel; Roland K. O. Sigel. Interrelations between Essential Metal Ions and Human Diseases. Metal Ions in Life Sciences. 13. Springer. pp. 29–47. doi:10.1007/978-94-007-7500-8_2. ISBN 978-94-007-7499-5. PMID 24470088. ^ Kering, M. K. (2008). "Manganese Nutrition and Photosynthesis in NAD-malic enzyme C4 plants Ph.D. dissertation" (PDF). University of Missouri-Columbia. Retrieved 2011-11-09. ^ Subbarao, G. V.; Ito, O.; Berry, W. L.; Wheeler, R. M. (2003). "Sodium—A Functional Plant Nutrient". Critical Reviews in Plant Sciences. 22 (5): 391–416. doi:10.1080/07352680390243495. ^ Zhu, J. K. (2001). "Plant salt tolerance". Trends in Plant Science. 6 (2): 66–71. doi:10.1016/S1360-1385(00)01838-0. PMID 11173290. ^ a b "Plants and salt ion toxicity". Plant Biology. Retrieved 2010-11-02. ^ Hazard Rating Information for NFPA Fire Diamonds Archived 17 February 2015 at the Wayback Machine. Ehs.neu.edu. Retrieved on 2015-11-11. ^ Routley, J. Gordon. Sodium Explosion Critically Burns Firefighters: Newton, Massachusetts. U. S. Fire Administration. FEMA, 2013. ^ a b c Prudent Practices in the Laboratory: Handling and Disposal of Chemicals. National Research Council (U.S.). Committee on Prudent Practices for Handling, Storage, and Disposal of Chemicals in Laboratories. National Academies, 1995. p. 390. ^ Ladwig, Thomas H. (1991). Industrial fire prevention and protection. Van Nostrand Reinhold, 1991. p. 178. ISBN 978-0-442-23678-6. ^ a b Günter Kessler. Sustainable and Safe Nuclear Fission Energy: Technology and Safety of Fast and Thermal Nuclear Reactors (illustrated ed.). Springer Science & Business Media, 2012. p. 446. ISBN 978-3-642-11990-3.